What’s up all my dudes and dudettes! I know I haven’t posted for about a week due to me not being able to log into my account, but it should be good now. 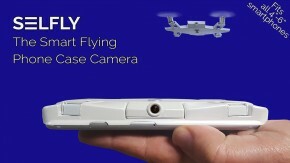 Today I’m going to be talking about a cool little thing I found on Kickstarter called the SELFLY Camera. It’s a funky little phone case that also doubles as a camera. I don’t personally do a lot of selfies, but I feel like this little piece of tech is cool. The drone is super light and snaps into the back of the phone case. It has about a 5-minute charge which lets it take about 20 pictures. The whole case will cost you around 99$, but if you want to charge the drone on the go you can pay an extra 20$ to get a charging case. 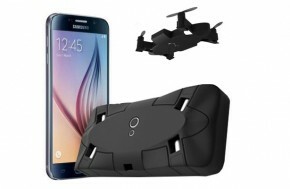 Another nice thing about this phone case drone is that it fits most updated phone so if you have any of new phones like the S7 edge or the IPhone 7 you can put them in that case. All in all I really like the concept of this drone and I could really see it take off.